Doggie Cakes - Dog Bakery and Boutique is hosting the 3rd Annual Orange Lake Dog Picnic on Sunday, September 27th, 2009 from 11 am - 3 pm. This event is a component of Greater New Port Richey Main Street's Founders Day weekend - a three-day event. 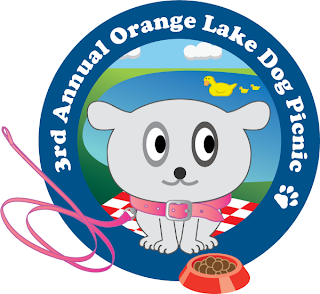 All fees will be given to the SPCA Suncoast, including optional raffle money. Many prizes are available. Pet-related vendors will also be on site, so do bring cash. Also suggested: blankets and chairs. * Dogs must be leashed, licensed, and current on all vaccinations. Additional rules on the registration and waiver form.